Want to learn some Basic Astral Projection Techniques? - "Is that all there is?" has always been one of the questions puzzling mankind. The truth is, the world around us is not simply made up of physical matter, of objects visible to the eye and tangible to the finger. It goes well beyond that, as Ancient Greek philosophers, wise men from India, and late Victorian Theosophists all argued. Based on my own experiences our universe consists of three planes - the physical (the one our bodies and all the tangible reality exist in), the astral (the plane of the soul, the emotions etc.) and the mental (where thoughts and abstract ideas dwell). By default, the average person only has access to the lowest, physical plane, having but limited consciousness of the other two. With some spiritual work and self-improvement however, all of us can potentially reach the upper echelons of reality. Physical, emotional and mental health are key as they provide a strong foundation for further work. Balance and moderation in every aspect of one's life never hurt anyone and can only make things easier. Developing clairvoyance and embarking on astral travel have more similarities than one might think, so the general advice applies to both. Astral projection (or out-of-body-experience, OBE, as it is often referred to) denotes the separation of the astral body (or soul) and its travel through space and (sometimes) time. An advanced practice, it is however not outside of the reach of the common spiritually sensitive individual. The practice of it begins with choosing a quiet and secluded spot where you can lie down comfortably and relax. Deep relaxation of every part of your body (and mind) is essential. The next step involved is reaching an almost hypnotic state by letting the body approach sleep without completely losing consciousness. This fine balance between wakefulness and sleep is the trigger for projection. Oftentimes, as the astral body prepares to separate from the physical, vibrations are felt throughout. Just as the separation is about to occur, you need to firmly but gently use your mind to control and move your astral frame. Stand up, look around, walk across the room, then try to look back at your physical body. It should be lying where you left it, motionless as if asleep. This will, of course, be a bit of a challenge at first, but be persistent. As you get better at it, try to leave the room (in your astral form), go to the next one, examine an object of your choice, remembering every detail. Once you're back in your physical frame and fully conscious, go and check whether your astral perception was correct. This way you will make sure that you are really having an OBE and not living a mere fantasy. To conclude with a word of advice - there is no reason to fear. Go on and explore further. The silver cord (which you can think of as your astral umbilical cord) is firmly attached and won't snap. You can return to your physical frame easily by "willing" it. Relax, and enjoy the ride. 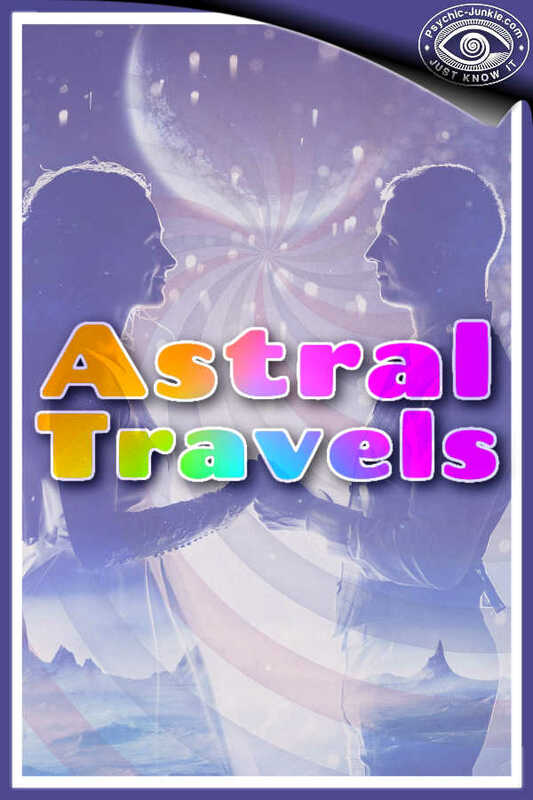 When it comes to being out of this world you will want to learn the basics of conscious astral travel, its benefits and how to perform rhythmic breathing. Preparation, Practice, and Projection are the 3 P's in these free astral projection techniques.